Lowrie Foods Ltd is one of the longest established and most trusted suppliers of food products in the North east of England. 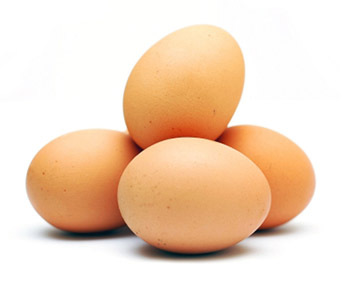 We specifically provide high quality egg products, catering supplies, meat, poultry and frozen foods from our facility in Newcastle Upon Tyne. Suppliers, please be aware that fraudsters are trying to use our identity to steal goods from you. If you get orders from us that you did not expect, please check using existing contacts before sending goods. Don't call back on the telephone number on the email - that is not us. For over a century Lowrie Foods have provided a wide range of food supply services. We have established a reputation for safe, reliable, quality foods supported by excellent customer service and value. Today you can trade with us over the internet through this website, enquire about goods and services and place trade orders directly through your account – for delivery to your door. Our Egg Processing section details the full service offered to some the UK’s biggest brands as well as regional and local purchasers of liquid egg products. We are accredited to BRC A Grade for the production of egg products. Our Catering Supplies service is used by butchers, bakers, cafes, food stores, pubs and restaurants for high quality meat, poultry, cheese, eggs and frozen foods. All goods are delivered by our own fleet of modern refridgerated vehicles. We deliver to all towns in the North east every day. Our Retail Butchery (meat wholesale) section offers high quality meat and poultry produce sourced locally and from further afield. We supply fresh and frozen beef, pork, lamb, chicken, turkey, bacon and sausages, all of which can be ordered online by trade account holders. Alternatively, your order can be collected from our retail outlet in Newcastle Upon Tyne. All our products are selected to provide high quality at the best value for money possible.